Unique “Events Track” at This Year’s Conference! New this year to the Wine Marketing & Tourism Conference will be three session tracks for attendees: Marketing, Events and Tourism. Attendees can choose to follow one track or attend sessions from different tracks. Sponsored by Eventbrite, our Events Track is designed to provide helpful tips and key takeaways for success. Are you looking to increase your online events engagement or ramp up your customer’s onsite experience? These sessions will have you covered! The Key to Events: What is the key to a successful event? 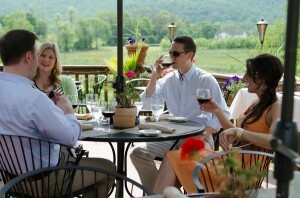 Learn how to create and manage unique events that appeal to different guest types at your winery. Take away best practices and tips for creating, executing, and measuring events and learn which goals you should be setting for each event. Using Facebook Events: Facebook Events are a great way to boost engagement, get people talking, provide helpful information and ultimately plan your upcoming business events. Learn how to plan, coordinate, and spread awareness of your brand through this tool. Success in Event Registration: From Online to Onsite: Learn how to create a successful online registration and turn it into a successful onsite event, including ticketing, pricing, and onsite execution. Local Guerrilla Marketing for Your Wine Event: Marketing can be the hardest part of the event planning process if you are on a budget – and that’s where guerrilla marketing comes in. Learn how to engage in high impact, low-cost local marketing to fill your events. The 2018 Wine Marketing & Tourism Conference will be held October 23-25 in Santa Rosa – to register, please visit our registration page at www.winetourismconference.org.